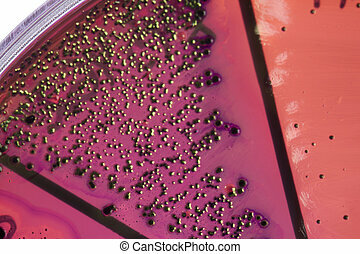 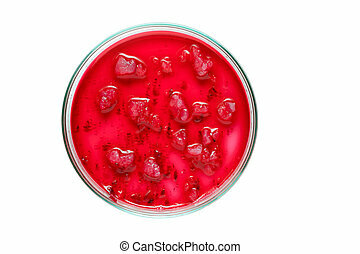 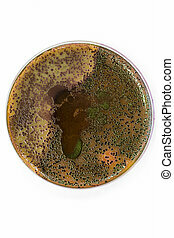 Bacteria on petri dish. 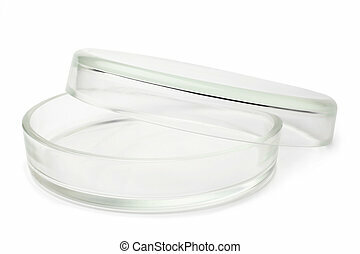 Petri dish close up. 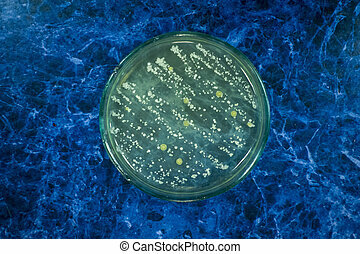 bacteria culture. 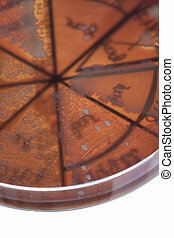 Petri dish close up. 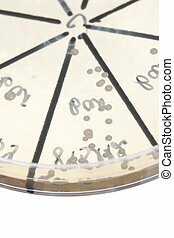 Bacteria culture. 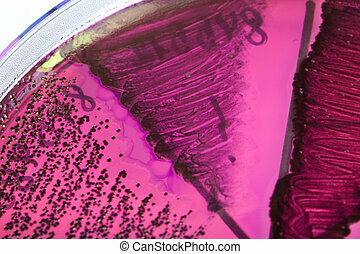 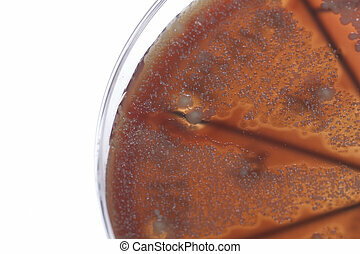 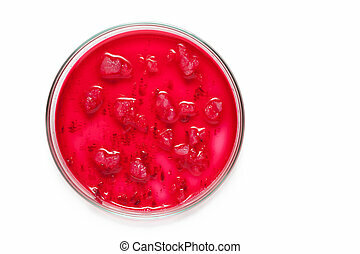 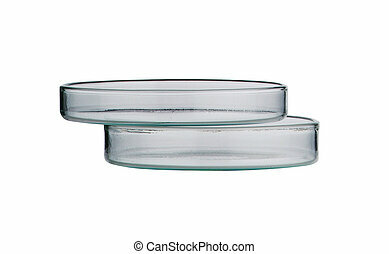 Colonies of bacteria on a petri dish. 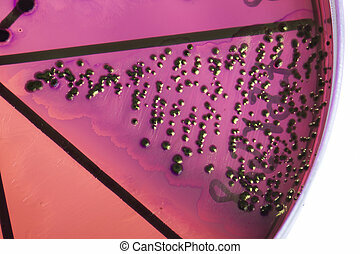 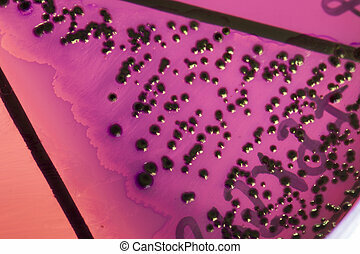 Cocci, bacilli. 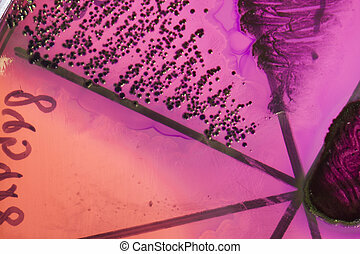 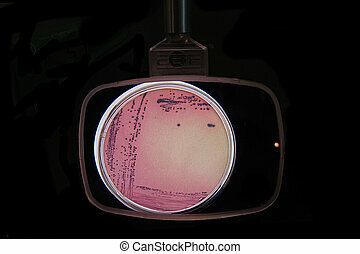 Bacteria growing on a petri dish. 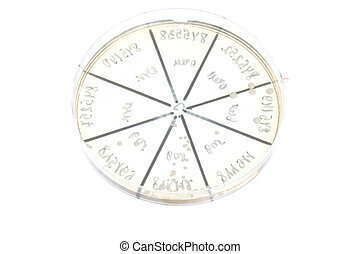 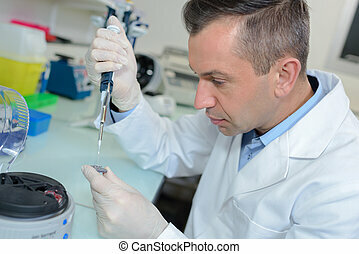 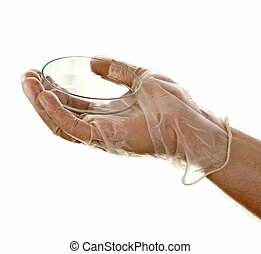 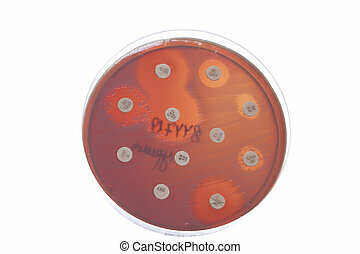 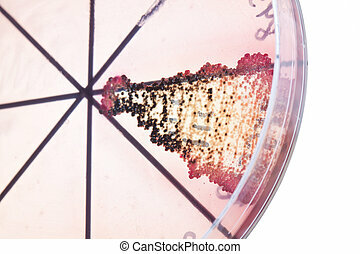 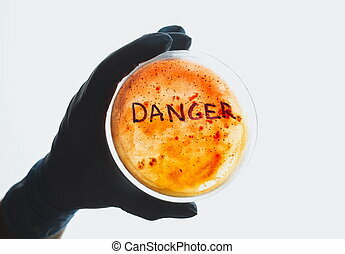 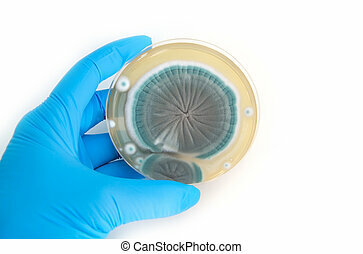 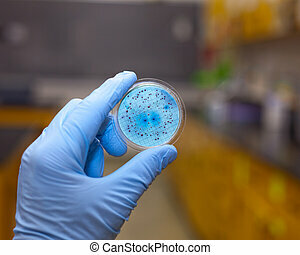 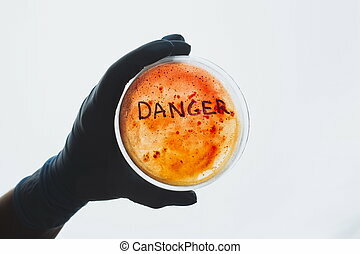 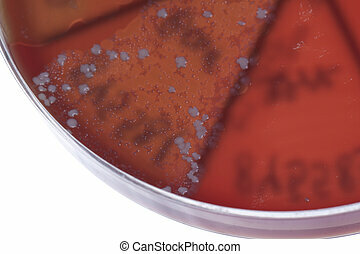 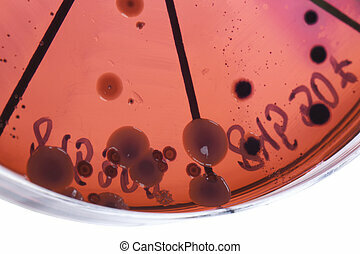 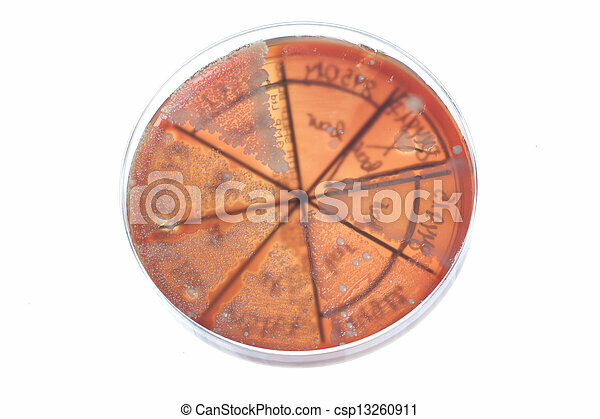 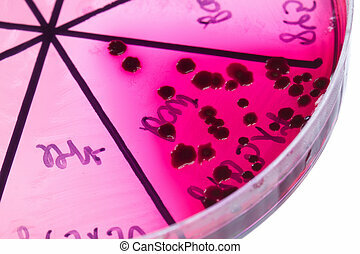 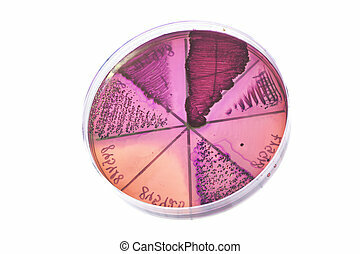 Petri dish on hand in disposable glove isolated on white background.